This badge was issued to Gerard Luechinger on 07 Feb 2019. This badge earner has comprehensive in-depth knowledge to help progress sales and deployment opportunities with SAP HANA on Power. 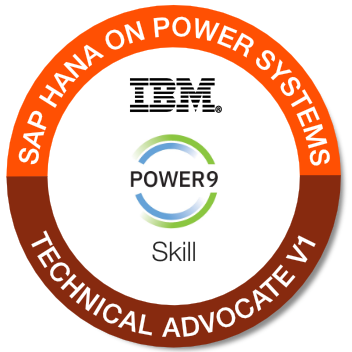 Business Partners: Pass all three assessment quizzes within the SAP HANA Technical Advocate education roadmap within IBM PWU. IBMers: Pass end of course assessment quizzes for all three SAP HANA Technical Advocate education courses in SMARTER. Follow link on Open Badges website.